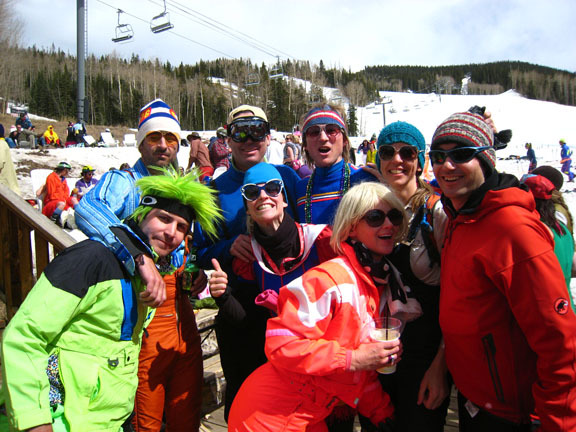 The Ryder-Walker crew celebrated the closing day of the 2012 ski season at our headquarters in Telluride, Colorado. With sunny skies and temps near 60 degrees, this was one of the best closing days that we’ve had in years. It was great to see so many people dressed in fun costumes and celebrating the end of season in style. Now it’s time to focus on the summer hiking season. Our hiking tour from Sedona, Arizona to Moab, Utah departs on May 5th. Bring on spring!